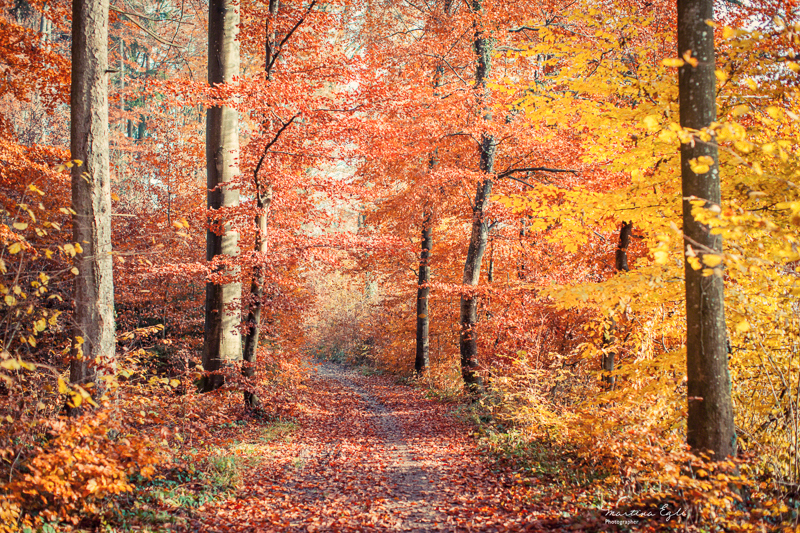 Really beautiful forestscape with lovely soft light and a harmonious autumn color palette! C’est plus que l’automne : un rêve d’automne. This looks so much like the paths I walk here…well, I can’t help but smile. The Fall colors, the sounds of leaves underfoot, the crisp air, the smell of the woods–it’s all just wonderful! Thanks, Martina. This is why I love autumn. The colours are divine. A beautiful shot if a path I’d like to walk. Wonderful colours, Martina. An amazing image!